My husband and I are both involved in helping out at our local foodbank. It’s a great way to help people who are in crisis for whatever reason – job losses, family deaths, delays to benefits, etc. Mix all the ingredients together in a large bowl, stirring in the stem ginger last. 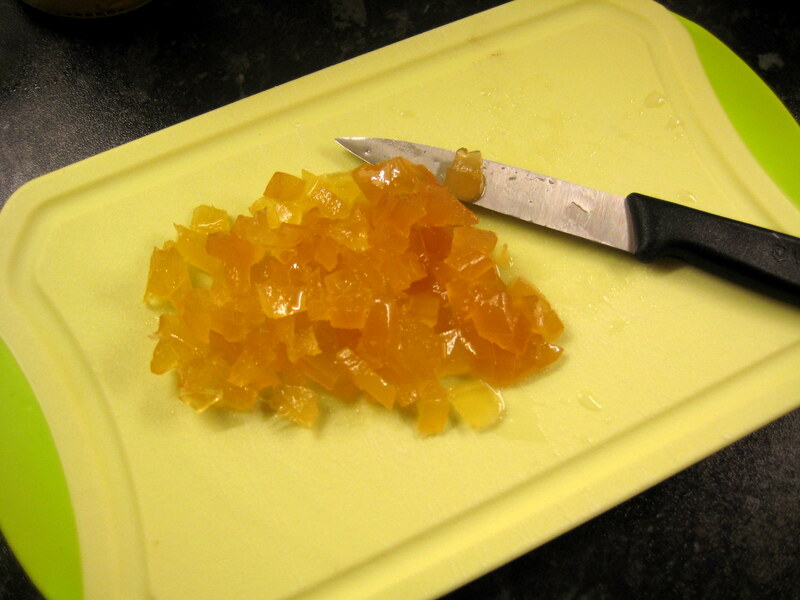 To make it more gingery you can add some of the ginger syrup if you like! 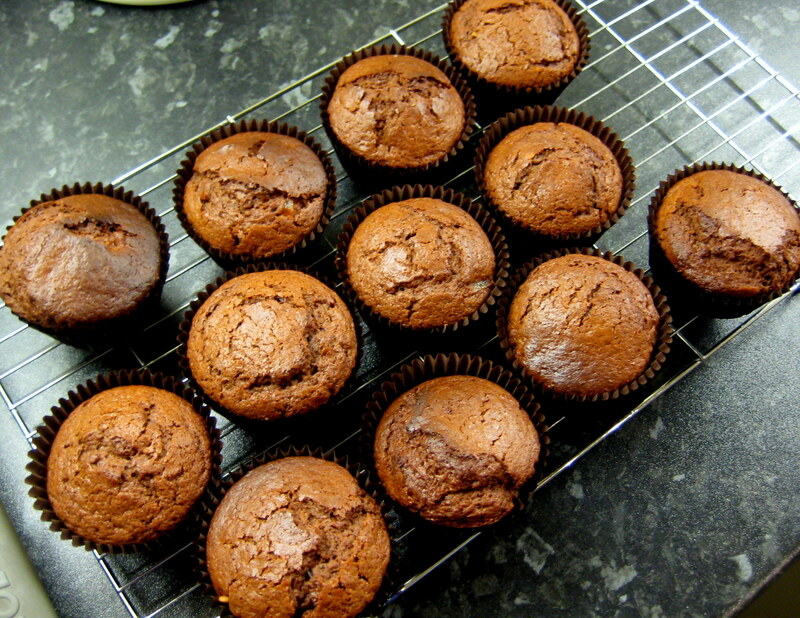 Spoon into paper cases in a muffin tin and bake for 20-25mins. Ready to bake… and yes, I licked the spoon! Wow, these sound good. My husband loves gingery things, and I normally double the ginger in a recipe, but these might actually be gingery enough without. Can’t wait to try them. They are good as they are but you could add more stem ginger or a tsp of ground ginger if you like ginger lots! 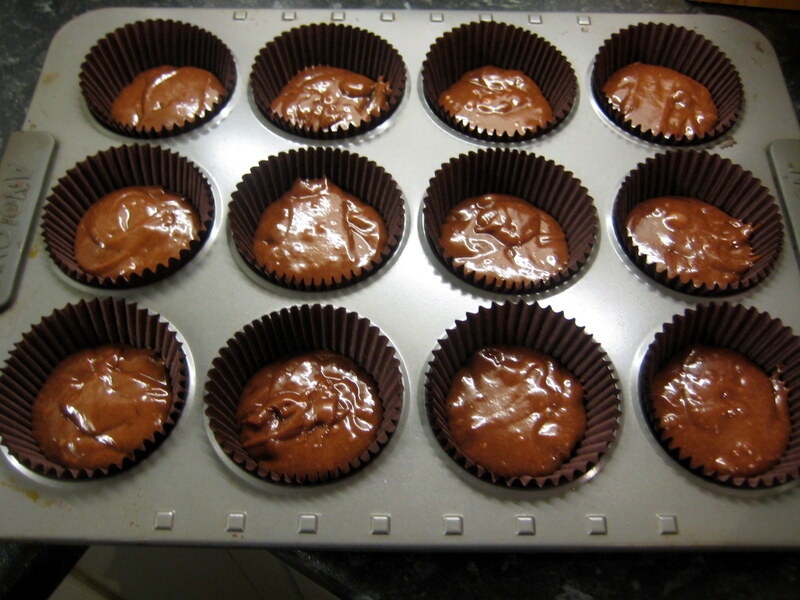 Also good – 40g of chopped up dark chocolate scattered on the top before you bake them.